lasst mich Euch voller Stolz Matthew Ivan Cherry präsentieren, den ich soeben in Öl portraitiert habe! Matthew ist ein außerordentlich guter und etablierter Portraitkünstler aus Boston, Massachusetts, USA. Er portraitiert Menschen in lustigen Kostümen, mit Irokesen-Haarschnitt oder auch unbekleidet. Ich habe mich entschieden, ihn ebenfalls unbekleidet zu portraitieren. Als besonderes Detail seht Ihr im Hintergrund eine Malerei innerhalb der Malerei. Let me proudly present you Matthew Ivan Cherry being my newest portrait in oil! Matthew is a sophisticated and very established portrait painter from Boston, Massachusetts, USA. 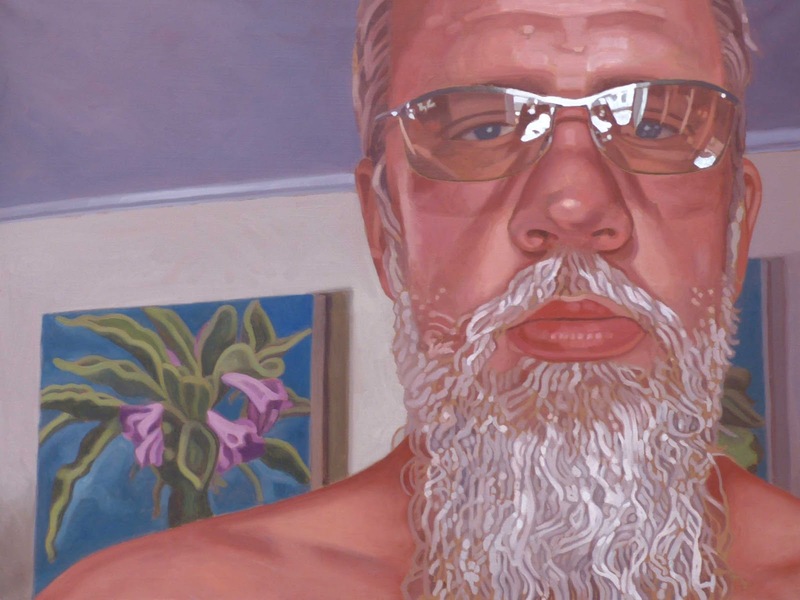 He paints people in funny costumes, with mohawks or unclothed. So I decided to paint him unclothed. In the background you can see a painting within the painting as a special detail. Another great portrait. Sorry to be "missing in action" lately. It's because we are very busy making arrangements for our move to Hawaii. It is still 59-days in the future, but much has to be done to ensure all goes well. That, however, doesn't stop me from visiting your blog and enjoying your wonderful work. Stay well, my talented friend!